Prices all over the place, lack of inspections, confusion: The introduction of Home Energy Certificates in Spain has been chaotic and consumers don’t really understand it, claims a recent article in El Pais. Introduced years late under threat of fines from the EU, the energy certificate aims to bring Spain in line with EU regulations on energy efficiency and reducing CO2 emissions. The certificate has been used for several years in countries like the UK and Germany. 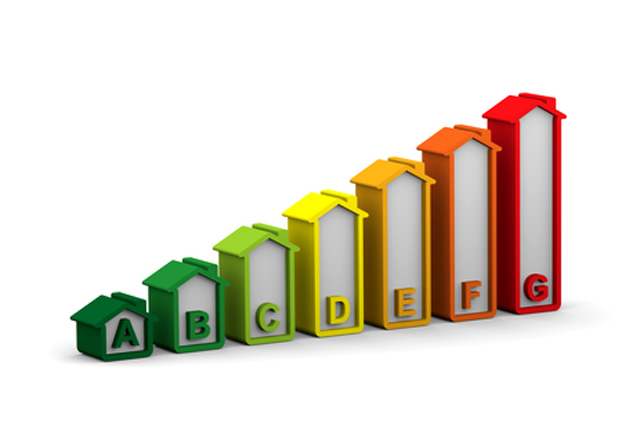 Issued by architects and other qualified personnel, the energy certificate grades homes on a scale from A (most efficient) to G (least efficient), and recommend steps to make homes more energy efficient. Valid for a decade, and necessary to sell or rent a home in Spain, the certificate costs anything from thirty five to a few hundred Euros to get. In three months since the introduction of energy certificates there have been just 168,000 buildings registered, 110,000 of them in Madrid and Catalonia. So basically, the introduction has been largely ignored in the rest of the country. Each of Spain’s seventeen regions has it’s own energy certificate register, with different costs and procedures. In the region of Aragon the register isn’t even up and running yet. And in Andalusia, the online registration system isn’t working properly. And when it comes to emitting the certificate, there are now plenty of stories of fraud, and A or B grades being awarded without even visiting the property. Perhaps we have just been very lucky? We were recommended a qualified architect,who spent two hours measuring and assessing our villa.We were only charged 180 euros plus IVA.,for our 230m2 property.The completed certificate was e-mailed to us within a couple of days..the hard copy arrived by post about a week later….a form to register with the Junta de Andalucia was then sent,which we completed.Our architect has now registered the form,FREE OF CHARGE! !,and we have our copy.All done very professionally and smoothly. Very interesting and that is what I would call a very professional service.Would you be so kind as to let me know the area that you live in and the name of the firm of architects that acted for you.Thank you. Typical Spanish cannot organise a ….. in a brewery. With millions of empty properties for sale not surprising. Why should the new build need a certificate. Surely this should have been part of the first licence of occupation. Where the property did not meet the standard the first Licence should not have been issued. With silly laws no wonder the Spanish totally ignore all legislations. All new builds from 2007 onwards should already have the certificate, because of new build regulations, although I am sure there are many who don’t. This certificate is more for second hand properties – to rent, and also when selling you need one. It doesn’t surprise me that it’s been chaos. It’s rather similar to the new rentals legislation. Two new legislations passed in the same year without too much thought put into the coordination and planning. They’ll get there. our experience here in Alicante region is the exact opposite of the article. We had a thorough one hour inspection from a qualified surveyor for our 100 square meter penthouse, and received the certificate, in both paper format and digital, within 24 hours. Absolutely no problems with this service here at all! It’s really good to hear positive experiences! Was quoted £300 for an inspection. Paid £75 in UK for a property 3 times the size. Additionally was told it would be about €35 to register the EPC with the regional authority. Have just spent €600 to prove I am me to the tax office despite owning a property in a company name since 1987 and paying tax through my Spanish Accountant. Bank account currently frozen whilst I try to prove to them that I am me. Had that BBVA account since 1987. Have been charged 2 lots of SUMA charges as administrator changed quota but didn’t delete old one. Have engaged lawyer to sort that out as failed myself. Can’t wait to sell and get out of Spain for ever. As a firm of Estate Agents we have had to organise quite a few and our experience here in the Canaries has been that there are no problems. All well and good, but so what if you get a certificate for your property? The home owner is not required to make improvements to the property. As I see it, the owner is out 200 euros and the buyer, or future buyer, purchases a property “as is” and gets a useless certificate with it. The winners…the government agency that gets the fee. Or am I missing something? I met in Brussels a man who said to me that he was making the most useless mandatory work. He was one of those people who spent his time to send mails of menaces to the people who hasn`t submit their house to this exam and the other half to make visits and to type the results. Prices, there ,are frequently 500€ each and so he was not complaining too much. In a word, this law was made to create new employments as you don’t have to be an architect for (Many estate agencies had found a way to have incoms without selling houses:-)…And they propose to you their “service”. So, you know very well if you have a central eating, double glazed windows, or anything else in your house but administration is thinking that you are an idiot and you need to know it from somebody else otherwise the one who is interested to rent or to buy your house (which is considered more stupid and blind than anyone) can rent or buy your house ignoring elementary things.So this can be the question: To be or not to be idiot? I resisted to all intimidations and I sold my house without. Then I came in Spain to buy the house I wanted to buy since two years and that I visited already 3 times. Well, Just in time to visit it for the forth time with the ingeneer in charge by the agency for this job. He was there visiting the house in the same time than me. We took the same measurement, the same pictures and we had the same opinion: For what this examination? For nothing of course, in any case for me as my price was done and the vendor had to support the 100€ for that.